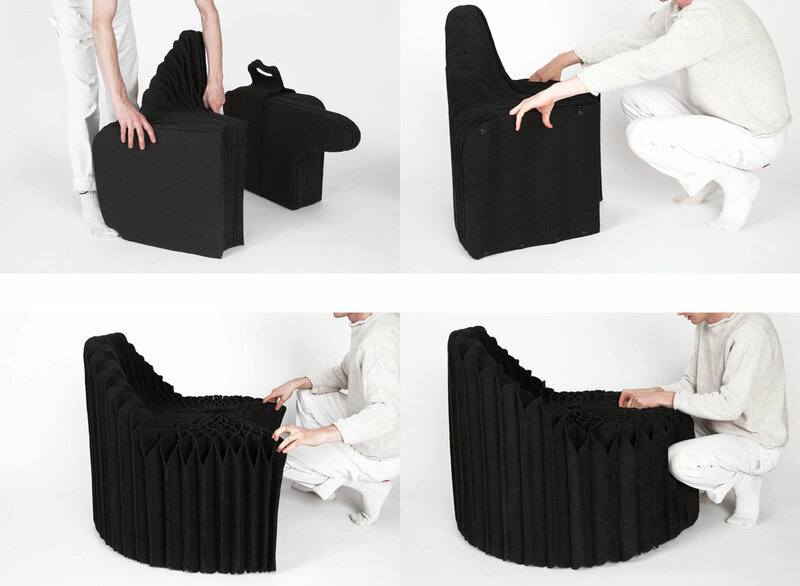 Möbel is a folding, lightweight seating for one or two people. The product is constructed using polyester industrial felt. 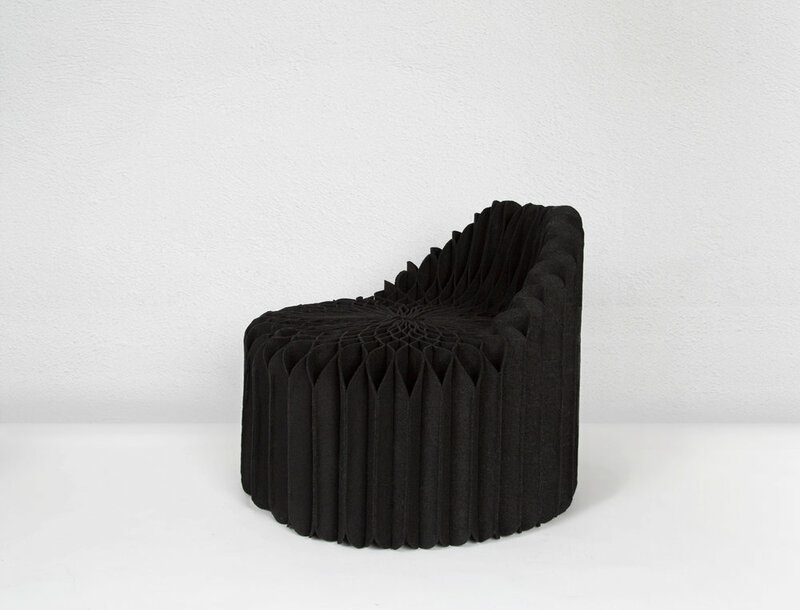 Sheets of felt are attached together on one dimension to create a honeycomb-like pattern for a unique look and functionality. By conducting a thorough patent and competitor search of the marketplace, we found a range of furniture products. 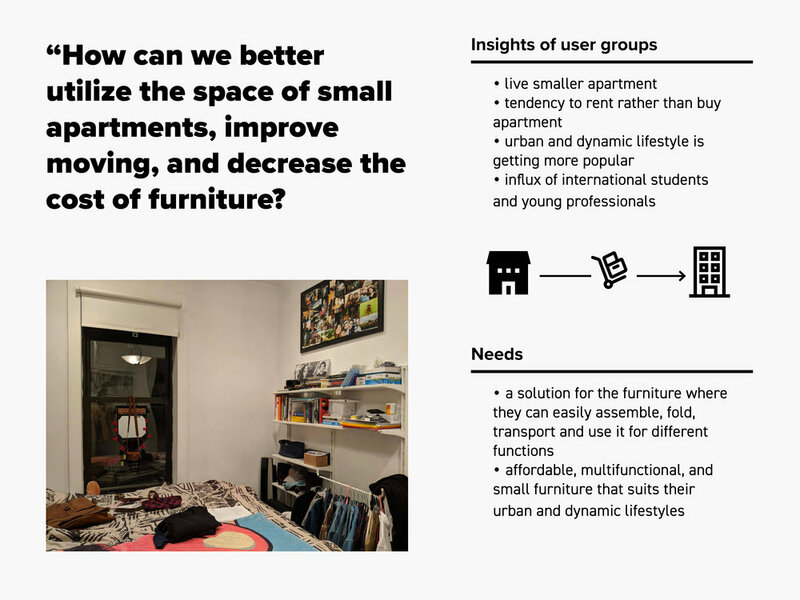 This sharpened our view of how we will innovate with our product. 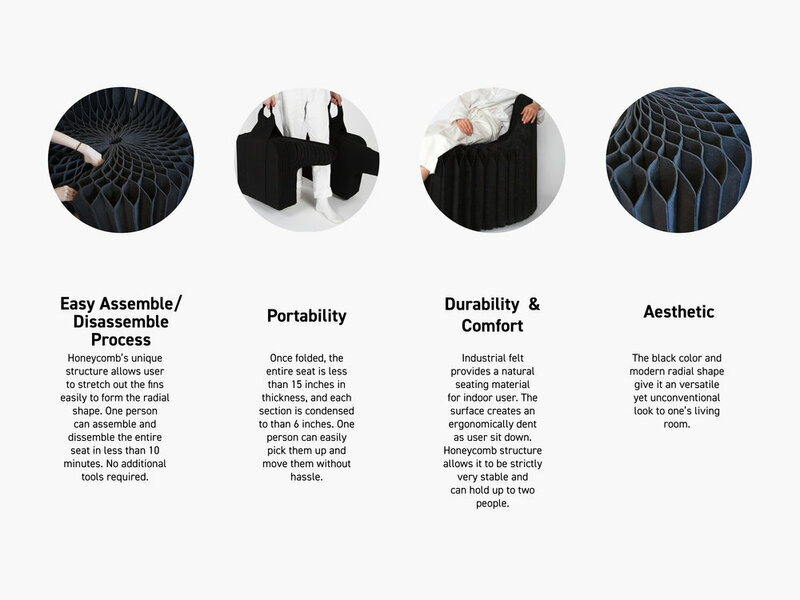 We also made both looks and works like prototypes of a semi-circular chair, linear couch to discuss where we can simplify the assembly process. From smaller scale paper models we moved onto larger scale using purchased material, with rounds of users testing. 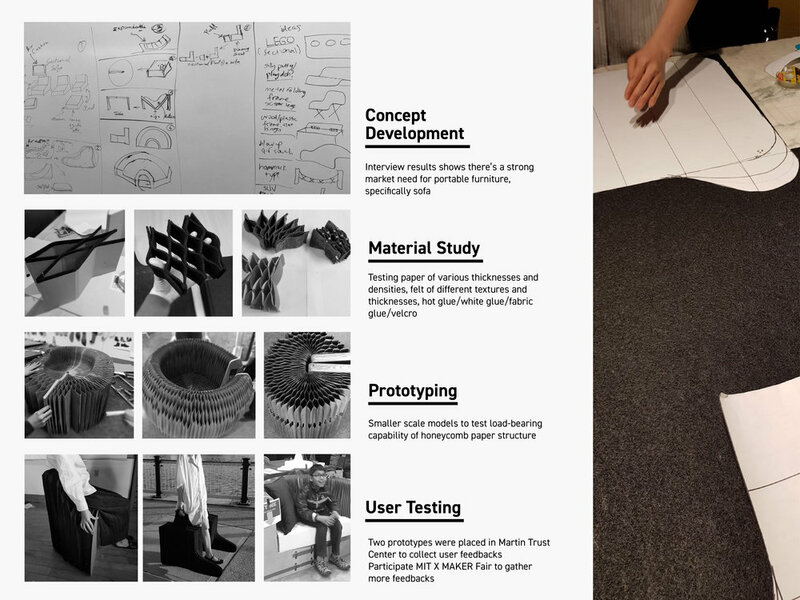 One prototype was placed at MIT Martin Trust Center lobby, and was demonstrated at MIT x Make fair, the other one is tested with specific users. 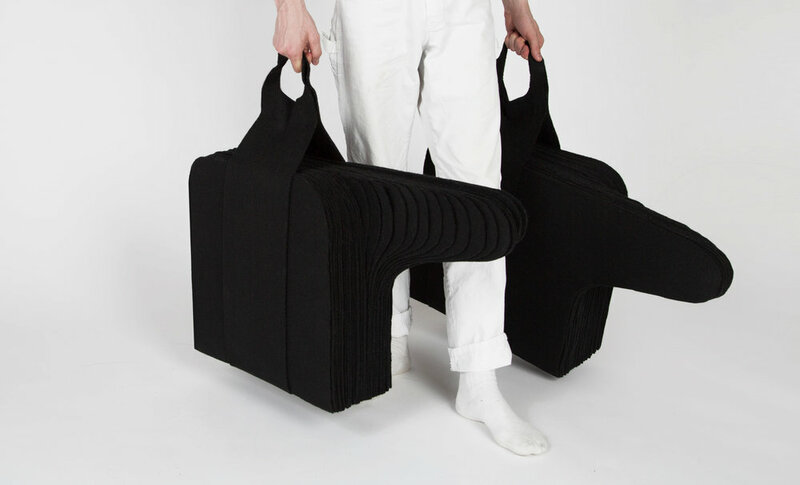 To create a full seat, user take out each panels from their cases, simply align and snap the buttons on the back of end felt, pull the side panels in a rotation and clips them back together. To dissemble it, user only need to unsnap the buttons and naturally the felt would collapse to its original shape. It is a intuitive, tool-less and single-person operation, which takes less than two minute to complete the task.